What do you do with all those fantastic pictures your little ones make - you know the ones I mean. 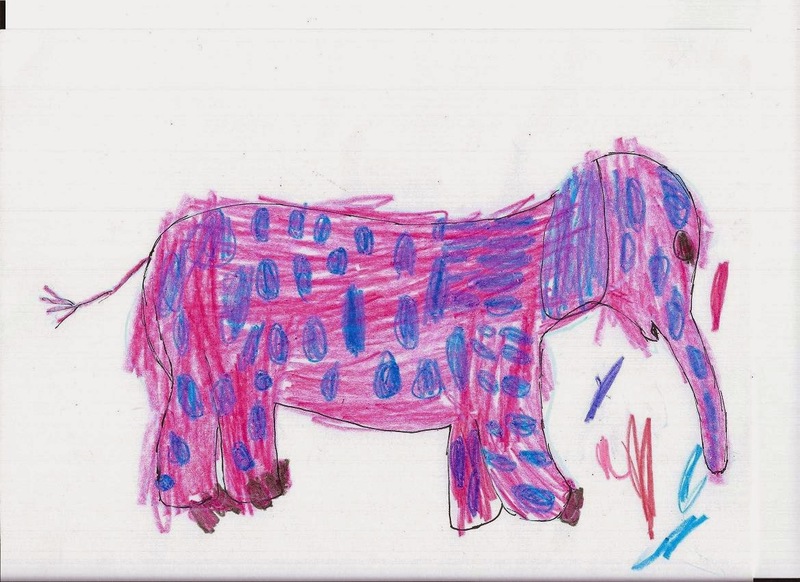 They draw and color something special just for Mom or Dad or Grandma, then it gets hung on the fridge for a while. Until the next drawing is put up in it's place. Then they bring home more and more from school, church, and just everyday art work. Which ones do you keep? Which go on the fridge and which end up in a box in the basement or attic? What do you think is a fun way to preserve some of your child's favorite pictures? What if you could turn a favorite photo into a special friend for you child. Something cuddly created by your child for your child! It can be animals, people or even objects like flowers, cars or whatever their imagination creates! That is where Budsies come in. These special loveable stuffed friends are made from a child's art work. For this review, I got to choose two Budsies to create for my two girls. 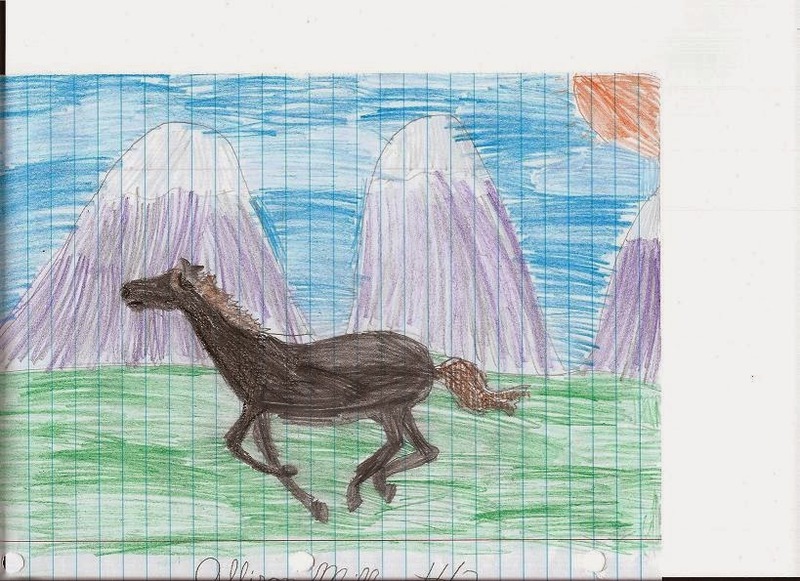 First, I snuck a picture out of my 9 year old's room that she made . . .she loves to draw and is learning how to draw from looking at pictures . . . she loves horses. Then, I had my youngest, 5 yr old, draw a picture of her favorite animal. She loves Elephants. I scanned both of these pictures into my computer, then uploaded them to the Budsies.com website. It usually only takes 2 to 4 weeks for your custom creation to arrive, unless it is a super busy time of year! Less than 3 weeks after ordering, this is what arrived . . . Speedy and Dot came alive! My girls were so excited, I had to take a video of their reactions . . .
And, if that isn't enough incentive to go get one for the kiddos in your life - For the entire month of November, for every Custom stuffed animal ordered (excluding coupon and discount code purchases), on your behalf, we will produce and donate a duplicate Budsie to a child in need over the Holidays. AND, of course, my blog readers/followers get a special discount - use the code: MomLoves2Read during checkout to get $5 OFF your purchase! And don't forget, each toy is unique and is inspected for loose parts. Some toys may have small/skinny pieces so it is recommended that each Budsie be given to children 3+ years of age. Please watch how your child plays with the custom plush toy and, if your child excessively chews it, you may want to put the Budsie in its "home" for safekeeping until your child gets older. These make wonderful keepsakes and are special and unique since they are created by your child for your child! Don't have a child? Child not old enough to draw yet? That's ok - While Budsies were originally made for kids, more and more adults have been ordering Budsies for themselves or for friends. Folks have made custom stuffed animals from doodles, company mascots, and as toys for their pets. Some are cute and some are funny, but all of them are loved. Just remember, no brand logos can be reproduced (ex: Superman, Batman, etc) If you are unsure, you can email and ask before ordering! 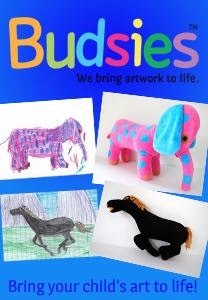 For this Holiday Gift Guide Giveaway - Budsies has offered one Custom Made Budsie to one of my blog followers! Enter below using the GiveawayTools form provided. This giveaway is open to US residents only at this time - must be 18 or older to win. my son loves to draw and drew a really great pic of a dragont that he would go nuts over if it were made into this!! this is an amazing thing!! My son is really into drawing chameleons right now. I think one of his drawings would make an AWESOME Budsies. We got a puppy this summer and my son likes to try to draw him. The pictures turn out so cute. I know , my girls now want to draw our dog and have her turned into a Budsie too! lol would be so cute! Oh my gosh this is a great idea! My kids draw a million pictures so this would be perfect! I love how unique this is and how fun it is to preserve their artwork - consider the cost of dolls, bears and other stuffed animals, then consider the unique creativity that is a keepsake as well! I lvoe it! I have a Budsie on the way and I cannot WAIT to see what he looks like! Send me a picture when it arrives - I'd love to see it!